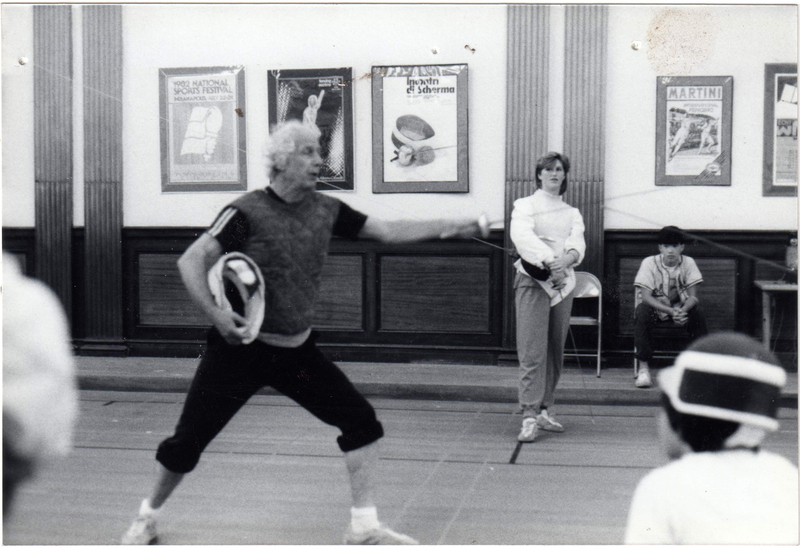 Delmar Calvert demonstrating a lunge while his student, Lisa Posthumus looks on. 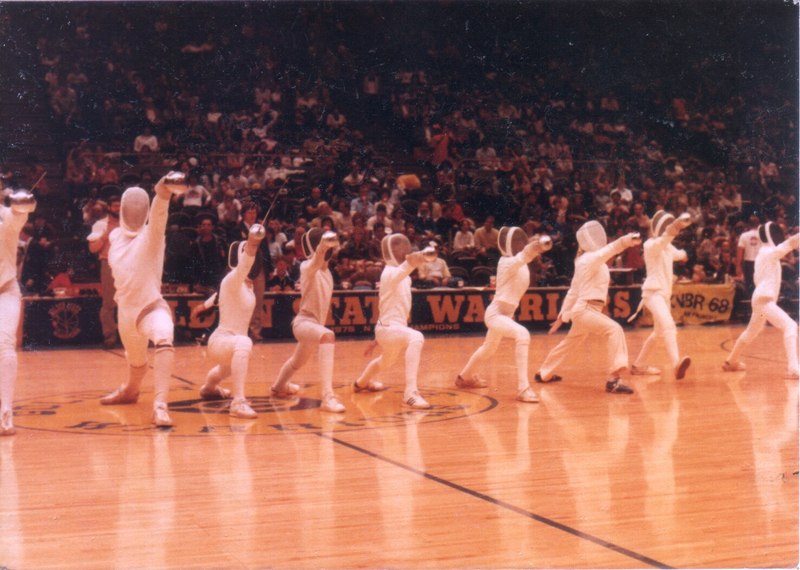 Half-Time Demo at A Golden State Warriors Game! 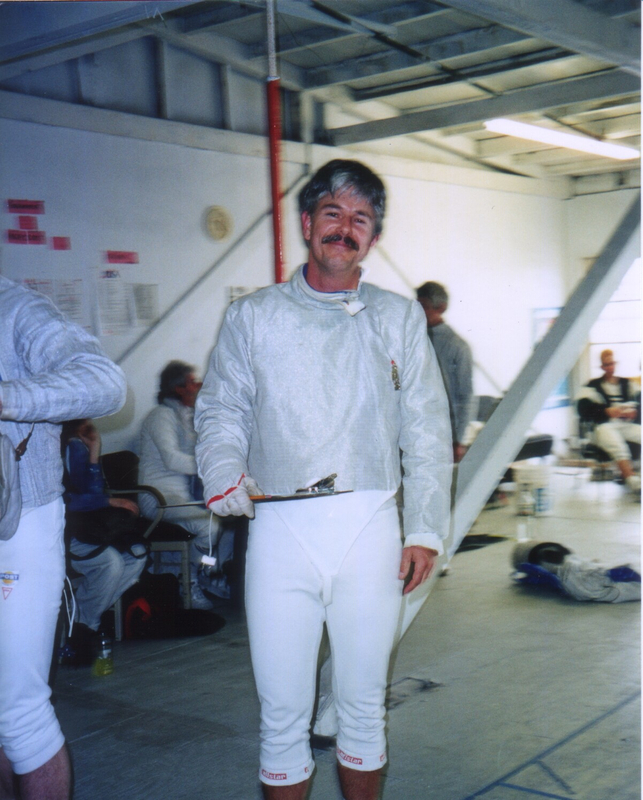 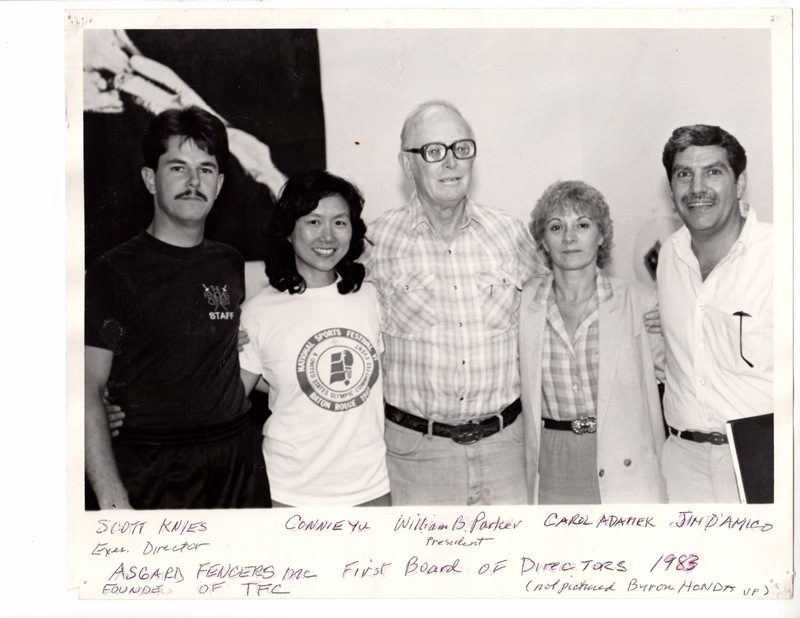 Scott Knies, a fencer for all seasons, saberist, coach executive director and lyceum teacher!